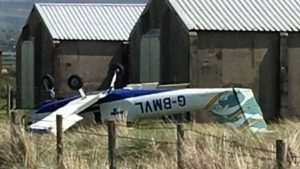 Two injured when a light aircraft crashed at Caernarfon Airport. 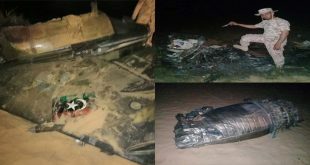 There was no fire and the pilot and passenger were, fortunately, able to walk away from the plane with minor injuries. They were taken to Ysbyty Gwynedd in Bangor to be checked over. Caernarfon Airport formerly RAF Llandwrog, is located 4 miles southwest of Caernarfon. A spokesman from North Wales Fire and Rescue Service has said there is no fire at the airport and they just assisted other agencies. The airport is mainly used by small fixed-wing aircraft, helicopters, and microlights. Several companies are based at the airport that offer flight training. Caernarfon Airport was approached for a comment.